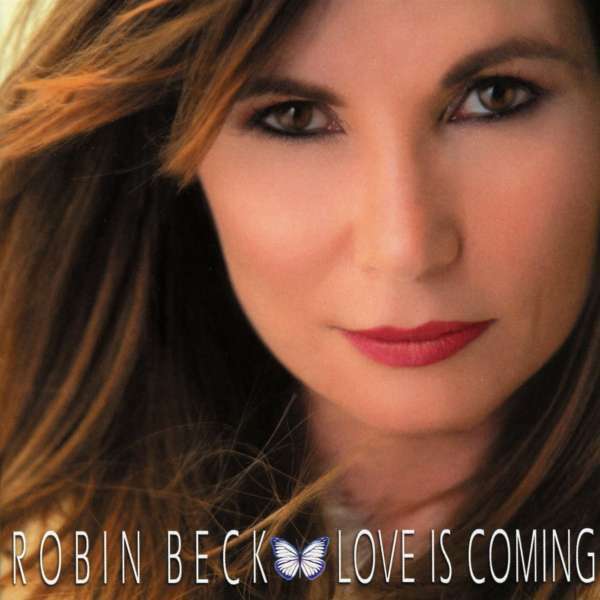 Der Artikel Robin Beck: Love Is Coming wurde in den Warenkorb gelegt. Robin Beck’s resume is a dizzying array of music accomplishments that would leave any lifetime musician supremely impressed. Beck began on Broadway Circuit at a young age with Ashford and Simpson just before she stepped onto the professional studio world with Arif Mardin (American-Turkish producer) at Atlantic Records. Robin Beck was born and raised in NYC with her first recording deal on Mercury. Beck collaborated with some of the greatest musicians in the world from Ashford and Simpson to Little Richard. Some of you born in the early ‘80s or earlier may remember her track "First Time" from Coca-Cola commercials that aired in 1988. The song “First Time” was re-recorded for Universal with Sunblock. Beck performed live On-Air TV appearances for the second time on Top Of The Pops, as well as numerous notable TV shows such as the famed Hit-Giganten and Helene Fischer. Around that time, Beck fielded contributions for her next album, "Trouble or Nothin'," from such well known names as Steve Lukather (Toto), Paul Stanley (KISS), Diane Warren, Desmond Child, and her long-standing writing partner, Jeff Kent. "Human Instinct," released in 1992, again featured the cream of the crop of the session world (Jeff Porcaro, Kim Bullard, Tim Pierce, Michael Landau, Lee Ritenour, Michael Thompson, etc.) and a line-up of blue-chip songwriters (Mark Spiro, Jeff Kent, Journey's Jonathan Cain, Heart's Ann and Nancy Wilson, Sue Shifrin, Glen Burtnik, etc.). 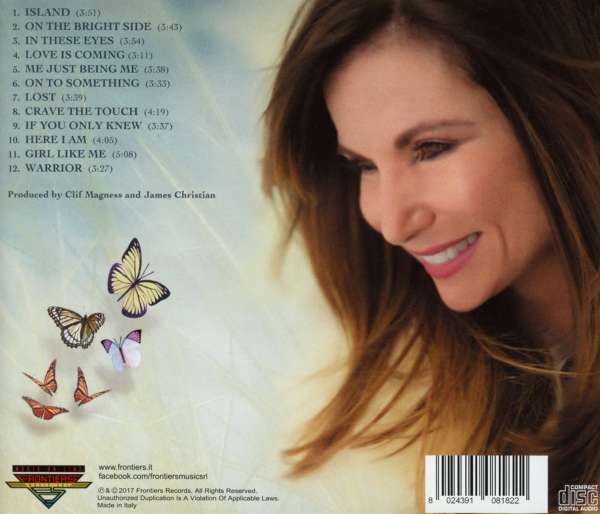 Two years later, "Can't Get Off" included songs co-written by everyone from Clif Magness (Avril Lavigne, Steve Perry) and Steve Kipner to Michael Bolton and Marc Jordan. That same year, Beck was asked by Universal Records to rerecord her megahit, "First Time," with the famed Sunblock remixers. Once again, the song took off, hitting the Top 10 on the UK's Billboard charts and selling more than 3 million units. In 2009, Beck kicked off her new label, Her Majesty's Music Room via Sony distribution, with a 20th anniversary Silver Edition rerelease of "Trouble or Nothin'" - completely rerecorded. In 2011, Beck put out "The Great Escape," which included "That All Depends On What You Do Tonight," her duet with Joe Lynn Turner of Rainbow and Deep Purple, and "Till the End of Time," her duet with husband James Christian of House Of Lords. She then spent 2012 playing arenas all over Europe, starting with 21 glorious performances of "Rock Meets Classic," alongside Deep Purple's Ian Gillian, Toto's Steve Lukather, Survivor's Jimi Jamison, and Manfred Mann's Chris Thompson. After an almost 20-year hiatus from performing live, she had been bitten again by the bug and decided to do her own tour of Europe to follow up her acclaimed set at Nottingham's Firefest and Hard Rock Hell in Wales, which was followed by the release of her last album "Underneath," which again saw an outstanding set of writers and performers to appear including writing partner Tommy Denander who co-produced one song "Girl Like Me” with Robin Beck, Denander also performs on the song with James Christain. Now in 2017, Beck reunites with Clif Magness and James Christian to craft her latest opus, “Love Is Coming”.